One homeowner recently had to take down an 8-foot tall fence around a garden patch in their yard. It had been built to keep out deer but was now falling down. While this is the most straightforward way to keep deer from eating the fruits of all your hard work, there are some other solutions out there. One thing to keep in mind is which plants deer like especially to eat, and avoid planting those or protect them with others they don’t like. Hungry deer will eat almost anything. They especially love narrow-leaved evergreen plants like arborvitae and fir and juicy garden plants like hostas, day lilies, roses, rhododendrons, and English ivy. Additionally, they will eat your fruits and vegetable plants too. Any green, lush growing plant that is particularly nutritious can be fair game to a hungry deer. There are, however, quite a few plants deer will stay away from. Either because they are poisonous to deer or because the deer don’t like the texture or smell, these plants can be better alternatives than the ones listed above. This is just a partial list of plants deer don’t seem to prefer. What about when you want to plant a vegetable garden? Isn’t that just like offering deer a free salad bar? How do you keep hungry deer from nibbling your precious green shoots or tender salad leaves in your newly growing garden? There are a number of home remedies you can try – with varying degrees of difficulty, but the very best thing for keeping out deer is an 8 foot tall metal fence. 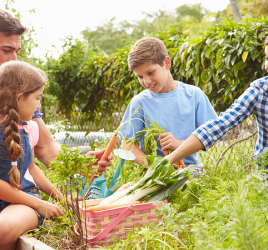 And of course, these can be labor intensive and expensive for most people – not to mention taking up more space than you intended for your vegetable garden. You also can’t always put metal fencing around your entire property to keep them out – much less around every fruit tree or rhododendron. Here are rough recipes for a number of repellents for deer. Remember, they tend to avoid things that are stinky or areas that smell like humans are there. A repellent made of dried bovine blood, sulfured eggs, and garlic is available at most home and garden stores. It won’t harm your plants and are usually effective at repelling deer. Predator urine can also be quite effective – and very stinky. Wolf or coyote urine can be bought in garden stores or online. However, you must find a responsible source for it. Otherwise, you run the risk of buying something that doesn’t comply with state and federal regulations. In addition, you have no way of knowing if the animals are treated humanely. If store-bought deer repellent isn’t your thing, you can try making your own: 1 raw egg, ½ cup of milk, 1 tablespoon of dish detergent and 1 gallon of water. 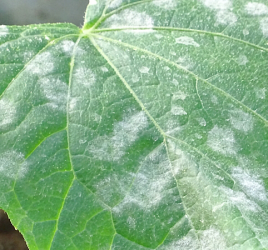 Spray over your plants, making sure to re-spray after it rains. Alternatively, mix 2 tablespoons of Tabasco sauce to a gallon of water and spray. Re-spray after any rain. Rotten eggs mixed with water – about a dozen to 5 gallons of water – sprayed around the perimeter of your garden can be effective at keeping deer at bay. Other perimeter deterrents include: kitty litter spread around the perimeter of your garden, old socks soaked in Lysol and strewn around the edges; also hung from a tree branch or stake. Smelly shoes can act as a deer deterrent all by themselves, provided they are smelly enough. 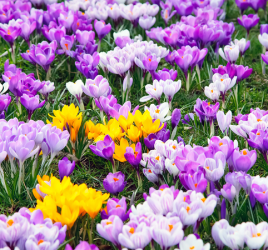 Leave these around the perimeter of your garden through the season and they might just do the trick! Unwashed laundry, strewn around your garden and draped over fences can create the impression humans are present. Irish Spring soap, hung or scattered around the garden, has a strong enough scent to keep deer away. Human hair, especially, hung in nylon stockings four feet from the ground, can deter deer from apple trees or vegetable gardens. But you have to change the hair quite often. Hair cuttings are free at most barber shops. Plant strong-smelling plants at the perimeter of your garden and the choicest plants inside. Scare deer away with a scarecrow made of your smelly, unwashed clothes. Metal posts 4-5 feet tall, each with a metal pit tin attached so it will rattle in the wind, scare deer away. Place a radio in your garden overnight. A motion-detector with an alarm will scare deer back into the woods. 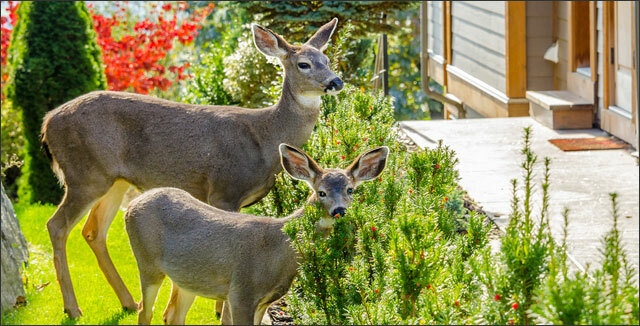 Draping netting over your plants may deter most deer. Remember to trim the lower branches off of your trees and clean up any fallen fruit, leaves or nuts in your lawn and deer will be less attracted. In conclusion, while no plant is 100% safe from deer, there are many plants deer don’t prefer that are still beautiful for your ornamental garden. If you are having a problem with deer, you may want to switch to those. For vegetable gardens and trees most susceptible to deer, try a number of these repellents and home remedies. If all else fails, you can always put up a tall fence.